Hi everyone! 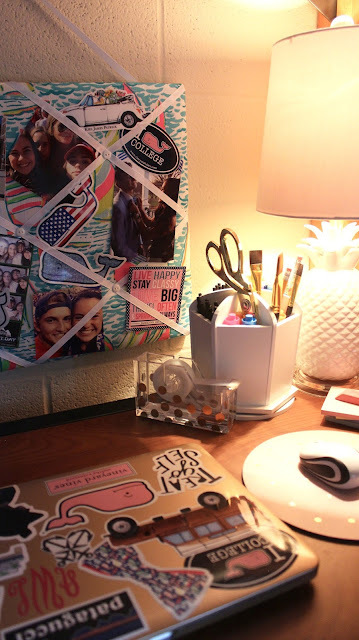 I am so excited about today's post, and to share my dorm room with you! I still have a few more decorations I want to add, but I was so excited and could not wait to share. One of my favorite parts of my room is my You Gotta Regatta items from My Pink and Green Garden on Etsy. 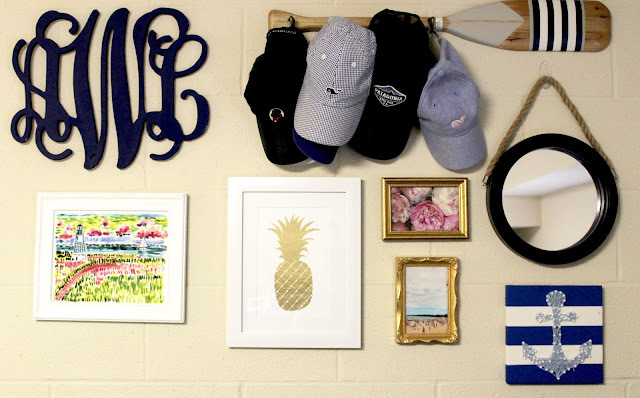 They have over 400 Lilly items perfect for decorating a bedroom or dorm room. You can use code BELLE10 for 10% off! Another one of my favorite features is my monogrammed chair. After seeing how cute Shannon's (www.prepavenue.com) chair was last year, I knew I wanted to do something similar in my room! I've linked my chair and all other room details at the end of this post. 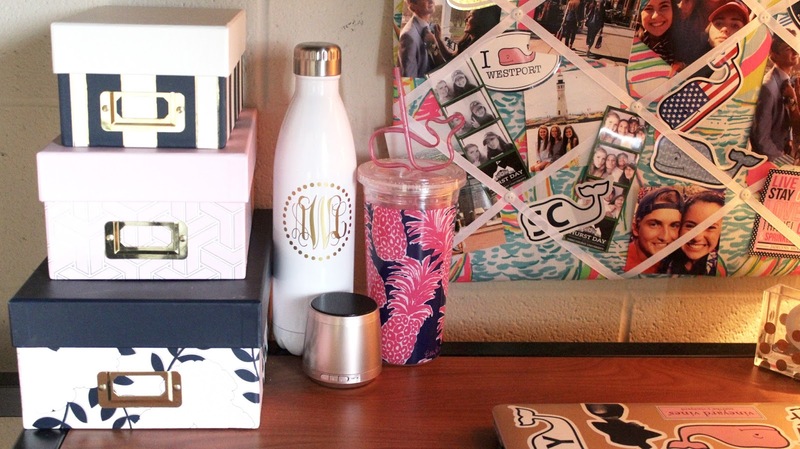 As Reese Witherspoon said, "If it's not moving, monogram it! ", so I used my decals from ToPrepfection on Etsy to personalize a few of my favorite things. When I first moved in my dorm I was most excited to hang up my gallery wall. After lots and lots of command strips, I love the way it turned out. I especially love my print from Evelyn Henson. I have two more prints from her and I can't wait to hang them up! I hope you guys love my dorm as much as I do! 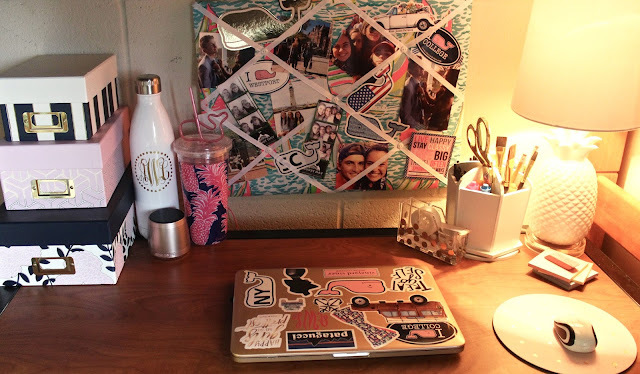 your dorm room is so cute i love it! So adorable! Love how bright it is. Your dorm is so cute, Abby! Love it! This is too cute, I was on the same side when I lived in that building too! Hi! Do you remember where you got your bedding? I also wanted to ask where your bedding is from!